The task: to create a new brand of personalized souvenirs. 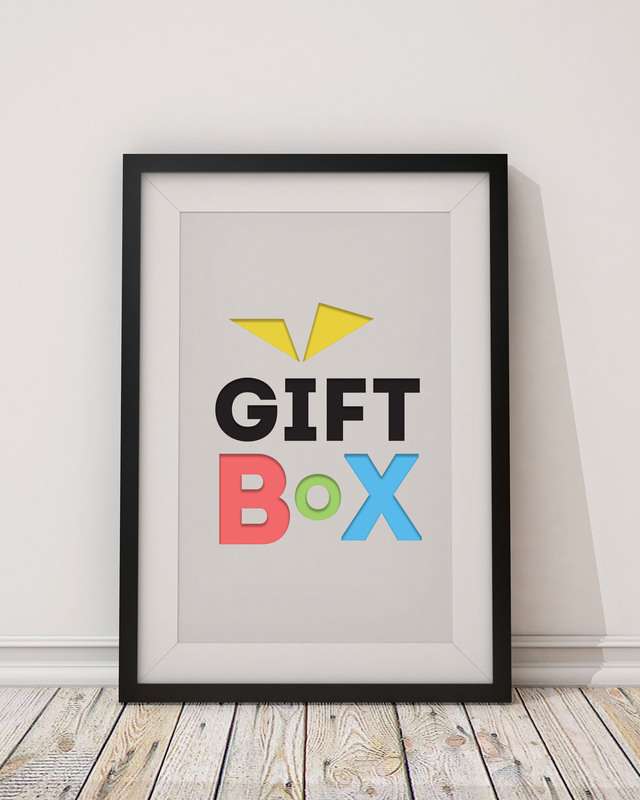 Therefore, we proposed to modify the name from «Gift Lab» to «Gift Box» which causes a direct association with a gift and is more personal. In addition, under this name will help them to sell a variety of presents and will help them under to implement the new business goals. 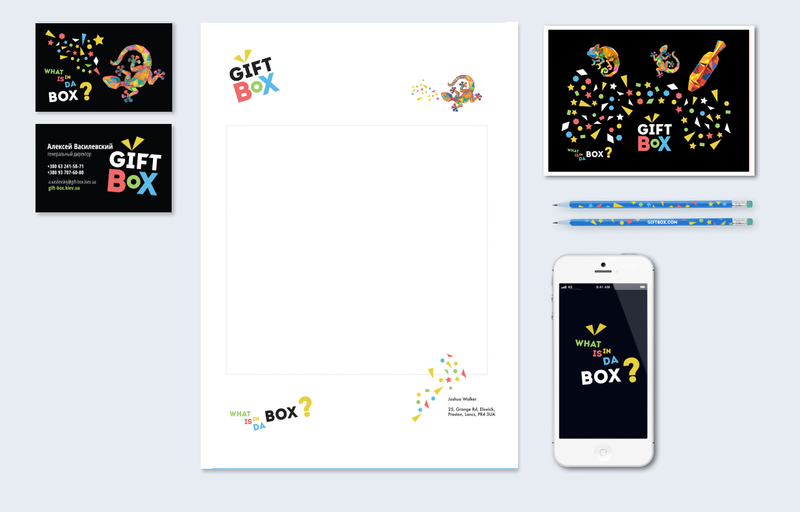 As you can see, the composition of the letters «Gift box», create the box with a bow himself, giving literal translation of the name of the campaign and its activities. The logo symbolizes the diversity of presents, fun, brightness and unconventional approach. Its elements define the dynamics and style of the whole corporate identity. For a basis of color we take four basic colors iPhone 5c: green, blue, yellow and red. They express emotions, emphasizing individuality and trendiness. 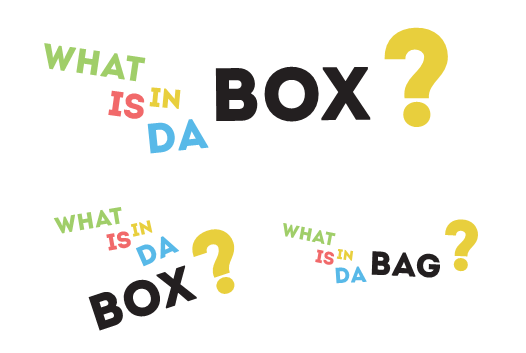 We decided to change traditional “the box” into slangy variant “da box”. To bring individuality and to simplify a staff work we found a unique animals for each of them.